Far from the glossy, computer-generated worlds or dystopian nations of today’s most popular science fiction movies, many sci-fi films of the ’70s and ’80s looked closer to home for inspiration, taking place in our dense, chaotic, but nevertheless forward-looking metropolis. Starting December 18th, the Roxie will take a look at how San Francisco has been used as a backdrop for science fiction cinema. All showings are free or discounted for members. Helmed by first-time director George Lucas and produced by Francis Ford Coppola, THX 1138 envisions a time when the oppression of both Orwell’s 1984 and Huxley’s Brave New World took hold, a concrete-walled world where jackbooted robots hunt down those who don’t take their medication, report for work, and watch their holo-broadcasts like good “numbers” do. Released to mixed reviews in 1971, THX 1138 became a worldwide cult hit after Lucas’ release of STAR WARS in 1977. Filmed in the newly poured BART tunnels, SFO and other local landmarks, Lucas’ film lashes out against technology, medication, and inhuman design, making for an eerie cautionary tale. We will be showing the 1977 version of THX 1138 (not the later director’s cut) from its best available source, Laserdisc. Loose, a little shaggy and the most fun of all of the Trek movies, 1986’s STAR TREK IV: THE VOYAGE HOME brings the crew of the Starship Enterprise back to present day (read: mid-’80s) San Francisco as Kirk, Spock and the team learn to cope with rush-hour traffic, archaic computer technology, and punks on Muni – all in service of saving the whales. STAR TREK IV skillfully walks the fine line between faithfulness to the series and a comedic sensibility all its own, as the city by the Bay becomes a playground for the crew. Seven years prior, San Francisco was visited by another traveler through time, H.G. Wells himself. TIME AFTER TIME sends both Wells’ famous time machine and Jack the Ripper forward to a museum in 1979 San Francisco, where Wells needs to hunt down the killer while dealing with the chaos of the city in the late 1970s. 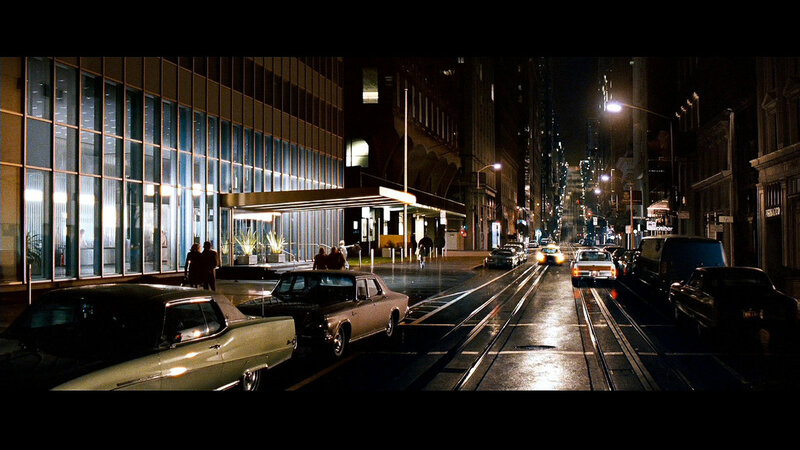 Filmed on location throughout San Francisco, and written by STAR TREK IV’s Nicholas Meyer, TIME AFTER TIME also integrates science fiction and good humor in a way that provides another unique view of the city past. 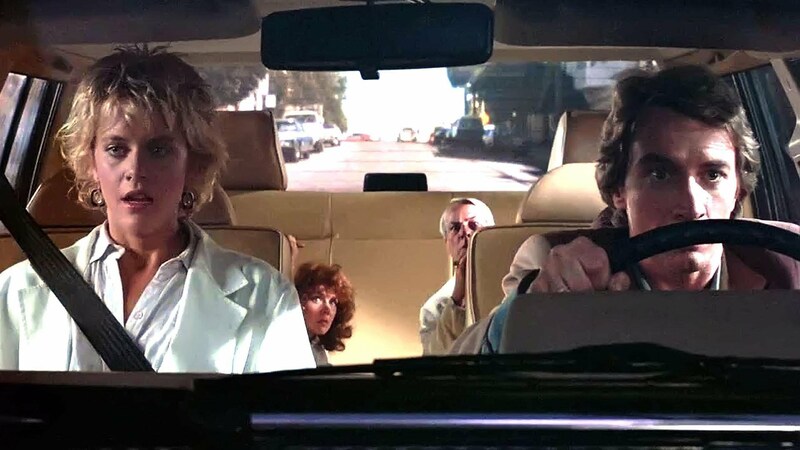 Joe Dante brought his anarchic sensibility to San Francisco with INNERSPACE, in which Dennis Quaid has been miniaturized for the sake of science then inadvertently injected into gangly Safeway clerk Martin Short. With special effects from Industrial Light and Magic that won the Academy Award for Best Visual Effects in 1988, INNERSPACE still delights. One of the most ambitious movies of this decade, directed by Lana Wachowski, Tom Tykwer and Andy Wachowski, CLOUD ATLAS adapts David Mitchell’s acclaimed novel featuring six intersecting storylines – one of which takes place in 1973 San Francisco. Released to generally confused reactions in 2012, with critics overwhelmed by the scope and the multiple on-screen personas of the actors, the success of the Wachowskis’ Netflix series Sense8 (also set in San Francisco) makes it a great time to re-evaluate this daring and remarkable film.